PJSC ArcelorMittal Kryvyi Rih (Dnipropetrovsk region) has extended its wagon fleet by 2.5 times, commissioning 450 new high-sided wagons received under a financial leasing scheme. 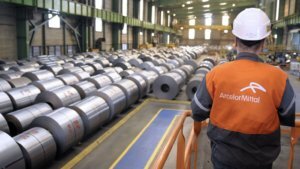 According to a press release of ArcelorMittal Kryvyi Rih, at the beginning of 2018 the enterprise received 50 new cars: thus, this year the company has commissioned 500 wagons to transport its metal products and supply raw materials to the plant. At the same time, it is noted that as a result its own fleet has increased by 2.5 times, which allows the company to carry out about 10-15% of its transportation independently, regardless of the situation in the railway market and the availability of wagons. This will help reduce the cost of delivering outgoing and incoming goods, as well as give an opportunity to consider new directions of metal products and iron ore concentrate transportation for exports. All new wagons for the enterprise are manufactured by PJSC Dniprovahonmash, which is one of the participants in the signed agreement under the scheme of financial leasing. ArcelorMittal Kryvyi Rih is the largest producer of steel goods in Ukraine. It specializes in production of long goods, in particular, fittings and wire rod. 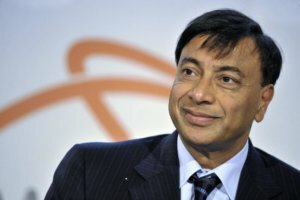 PJSC ArcelorMittal Kryvyi Rih (Dnipropetrovsk region) after a radical modernization by 2025 will become a modern European enterprise, Director General Paramjit Kahlon told the employees of the plant on occasion of the 84th anniversary of its establishment. “I am sure that by 2025 we will have a modern European plant in accordance with all European standards, with minimal emissions of pollutants, with a very high level of productivity, with very low production costs and with the generations, who will then link their lives with metallurgy and this enterprise,” the top manager said. At the same time, he stressed that the company is not standing still, is developing, and this gives hope for its future. “Once this modernization is completed, we will work in a new way,” the head of the enterprise is convinced, urging everyone to be participants in these changes and become architects of the success story that the administration is trying to create. According to Kahlon, ArcelorMittal Kryvyi Rih has three main goals: the first one is the modernization of the enterprise, still with an emphasis on ecology and environmental protection. The second one is the development of personnel and training new generations, the third one is partnership with the public. The head of the company in December 2017 reported that ArcelorMittal Kryvyi Rih intended to invest $250 million annually in the renewal of production until 2025. 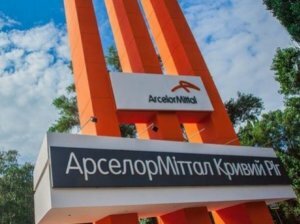 PJSC ArcelorMittal Kryvyi Rih (Dnipropetrovsk region) in 2017 received a net profit of UAH 5.062 billion, while in 2016 it amounted to UAH 2.704 billion. 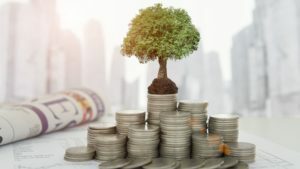 According to the company’s announcement of an annual shareholders’ meeting scheduled for April 26, retained earnings by the end of the year amounted to UAH 32.980 billion. Over the past year, ArcelorMittal Kryvyi Rih increased current liabilities by 23.1%, to UAH 17.044 billion, but reduced long-term liabilities by 2.1%, to UAH 6.791 billion. At the same time, the plant increased debtor indebtedness by 34.7%, to UAH 22.928 billion. 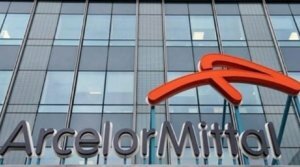 The assets of ArcelorMittal Kryvyi Rih in 2017 increased by 10%, to UAH 89.063 billion, in particular fixed assets by 1.4%, to UAH 47.134 billion. The shareholders intend to spend net profit received in 2017 on the development of production, dividends won’t be accrued and paid. ArcelorMittal Kryvyi Rih is the largest producer of steel products in Ukraine. It specializes in production of long products, in particular, fittings and wire rod.